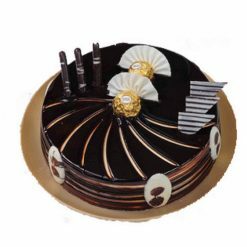 Anniversaries, birthdays, success parties and many other parties are never complete without delicious chocolate Cakes. Different people prefer different flavors of cakes. Among them, may be your sister, or mom or your spouse is a chocolate lover and you want to surprise the person on her or his birthday with midnight cake, and then the best thing you can do is just give us a call. 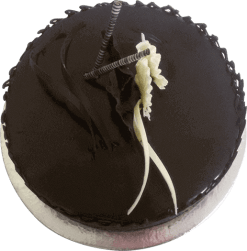 We are a newly set up yet fast growing company that can cater the delivery of chocolate cake online in Delhi Noida Faridabad. 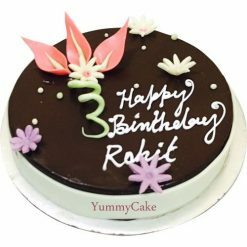 It would be the best choice ever if you order chocolate birthday cake online from Yummycake.in, You can directly book your order through mobile, Call us 9718108300 and book your order to get Free home delivery for delicious chocolate cakes. Be it anniversaries, birthdays, success parties or a farewell, every function is incomplete without a yummy, delicious cake. And chocolate cake being on top of your favorites, we make sure, you get the best chocolate cake delivered at your doorstep to complement your celebrations. Made with finest chocolate and cocoa powder, your sweet tooth is guaranteed to be delighted by the excellent taste and high quality of our chocolate cakes. 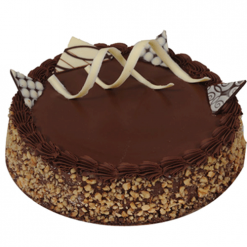 Customized to suit individual tastes, we deliver freshly baked chocolate cake online in Delhi NCR. 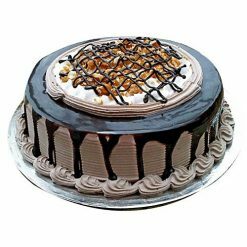 Now, you can send the best chocolate cake to your friends and relatives in Delhi NCR, Faridabad and Noida with a simple click sitting in the comfort of your home and that too at lowest prices. 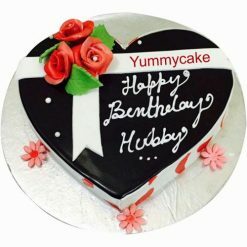 Our cakes are always fresh and customized as per your requirement. Also, the designs of the cakes made by us are just amazing for which we boast upon ourselves. Our mission is to make the day of the person you love with sweeter with our yummy delicious cakes. Previously you needed to go to the cake shop, order the cake and again go to the cake shop on the day of occasion for the delivery of the cake. But now you can stay away from all the hassles of going to the cake-shop. You can book the cake of your choice sitting in the comfort of your couch at your home. Our service not only gives you comfort but gives the best customize cake possible. You can give personalized photos, messages or decorate it as per your wish. This customized factors can add some extra flavor and emotional touch to the surprise cake that you are going to gift to your loved ones. We take care of our vegetarian clients also. We make eggless cakes that too are luscious like other cakes. So what are you waiting for? 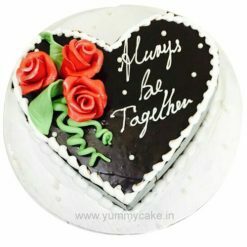 Just note down the birthdays and anniversaries of your loved ones and order customized best chocolate cakes online in Delhi, Noida, Faridabad and see how happy the person becomes on his/her special day.